I hope everyone had an amazing weekend! This weekend was a long weekend because on Monday it was Victoria Day which is a national holiday. So I spent some good quality time away from the computer & hung out with my husband & daughter practically the whole time playing outside. Anyways to finish off the weekend & start the week right I figured now would be a good time to do my post on the products I received from a company called Nancy K. Brown. Now this company to me knows exactly what they're doing. The company started in Vancouver, British Columbia, Canada. Which I must admit I love Canadian companies. The company is named after the founder & the company is cruelty free, vegan friendly, diabetic friendly & environmentally friendly. So right of the get go I loved this company. & Now that I have tried their products I can HIGHLY RECOMMEND THESE PRODUCTS TO YOU! So let me show you what they sent me & let you know what I thought about each product. Nancy K. Brown Aloe Vera Moisture Lotion & the Moisture/Beauty Gloves & the AvoCare - replenishing nail oil complex . Now These three products together are amazing. They are like the Big & Carrie of Hand, cuticle & nail care. After I've removed my nail polish & am about to give myself a good manicure (Normally I will do this once a week), I will remove my polish, clean up my cuticles, reshape my nails etc. Once all of that is done I apply the Avocare nail oil complex to my cuticles & nails, apply the lotion & then put on the gloves. Now I am telling you that this is something you need to try. If you have seriously dry hands or just want that healthy, soft hydrated skin, knuckles, cuticles & nails, YOU NEED THESE ITEMS. This combination of products helped my skin tremendously. This Nail Preparer is fantastic. I used this for every manicure I do, whether it be a nail art manicure or just something more simple. If I want a good application & wearing power I find this helps out alot. To use this I apply it to my nails & whenever it dries I apply my base coat. Which normally takes about a minute or less. 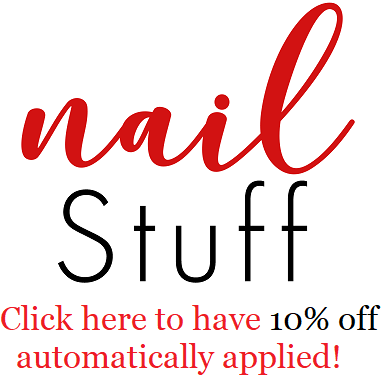 & What it does is it removes all the oil & residue that is on the nail which helps the basecoat adhere to the nails much better than it would without it. Now for the top coats. Now this is a top coat which will help to prevent your polish from chipping which will allow you more time in between manicures. Now normally I will leave my manicures on for about a day or two. I used this top coat for manicures I didn't have to rush with & could keep on for a couple of days, & it held up pretty well. Yes of course if you are gonna scrubbing the floors/bathtub, gardening or doing a lot of dishes & have your hands submerged underwater it will still chip, but then again any polish would. Wow. Just Wow. I truly love this top coat. This top coat is by far one of the best top coats I have ever tried. It would be one of my top 3 top coats. It dried fast, lasted a while, & was nice & glossy. The formula also applied wonderfully, it wasn't too thick or too thin. I would highly recommend this top coat to any of my friends ! Now from the beginning I had such a good feeling about this company. Even from checking out their website they seemed to know about how to properly take care of yourself. & I am not just referring to their nail products, I mean in general. They have a large range of skincare products, for your face, bust, hands, nails etc. So from the start to now I have nothing but love for this company! They have amazing products & everything about the company in general seems awesome! I would love if they started their own nail polish line !! How do you feel about companies that are cruelty free, vegan friendly, diabetic friendly & environmentally friendly? Would you consider purchasing from them?